The Earth is being threatened by the imminent impact of the asteroid Thantos. Now in order to prevent the Earth's destruction, the ISDA (International Solarsystem Development Agency) initiates the "D-Project," which involves the creation of Dragons. However, if the asteroid wasn't bad enough, powerful Dragon-like creatures arrive on Earth and begin wreaking havoc. 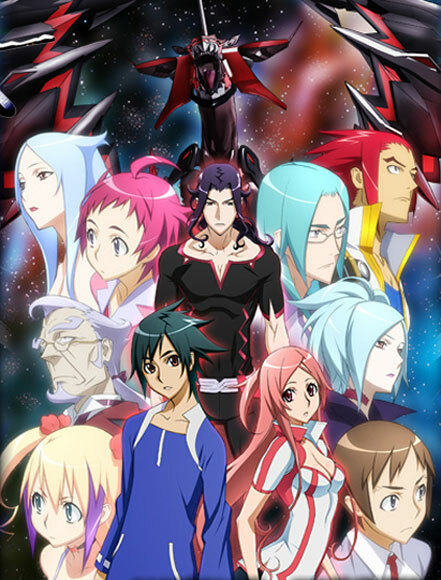 Jin Kamishina gets caught in the middle of this struggle and becomes the pilot of a Dragon named Dragonaut. Joining the ISDA, he is accompanied by a mysterious girl named Toa. Together, they try to solve the mystery of the Dragons, gain new friends and enemies and fight to save the world from destruction.